Welcome to SirBlaze333's warrior guide! 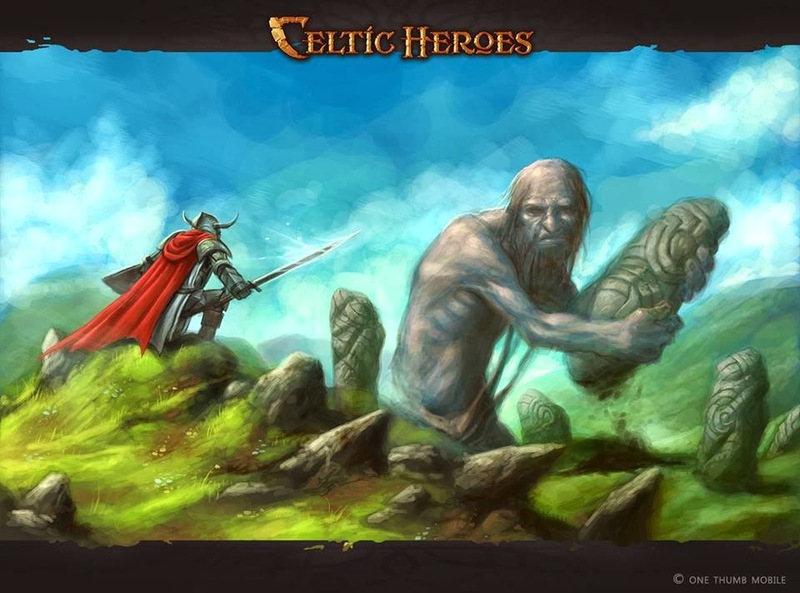 In Celtic Heroes, the warrior is seen as a main class. Throughout the game, warriors will take on one of two roles. These two roles consist of "Tanking" and "DPS". DPS: Firstly, DPS stands for damage per second, corrisponding with the damage trait of each class; thus the title. A warrior choosing the path of damage will have a generally offensive build. The defensive component of this class will vary from person to person. Not to get confused with tanks, some DPS builds have a large defensive component to the build. Others may have next to no health and very little armor. Stats and Attributes Strength: As a warrior, strength is a very handy attribute. Though useful, it should only be added to your warrior in large amounts. The reason for this is that strength adds to your damage but damage really only piles on with sufficient strength. Strength also allows for a larger selection of weapons to be wielded. Dexterity: The most contrivurial attribute of a warrior's build is dexterity. Many agree that this stat is in fact useful, while many others disagree. What dexterity does is it adds to your attack and defense stats. Attack allows for a better chance of hitting the target with your auto attack. Defense heightens your chance of dodging/blocking incoming auto attacks. Focus: Focus is now becoming a factor of a warrior's build. Some players ignore this attribute, while others choose to include it. Focus adds to your total amount of energy, allowing skills to be performed more frequently during battles (assuming energy is full before battle). Vitality: A majority of warriors will agree that vitality is an essencial attribute. And it is, unless you are relying on a tank to group you while leveling. But that is just unrealistic! What vitality does is it adds to your total amount of health. More health means staying alive longer during battle while taking damage. Armor: armor is the stat that reduces the amount of damage you take. Keep in mind that DPS stands for damage per second. This means that you can compare each weapons general damage rate by dividing the damage of the weapon by the attack speed. The higher the value, the more devestating the weapon is. Offhand: Recall that there are two roles of a warrior. There are also two types of offhands that a warrior can equip. There are shields that complement tanks and there are offhand weapons that complement DPS warriors. Choosing the right offhand is up to the warrior! Jewelery: The jewelery page is consisted of 8 slots. One of which is reserved for necklaces. Here, a luxury amulet is advised. The effects are stated on the actual amulet, so I won't get into it. There is also a slot for luxury charms which are mainly cosmetic, with an exception of the silver and golden camoflouge charms. Two slots are reserved for bracelets that are dropped by red placeholders (won't go into detail), dropped by wyverns, or baught.. The remaining 4 slots belong to rings. There are several types of rings with multiple magnitudes of effect. A warrior may favour rings that suit the oposite role to take advantage of both worlds. As for the rest of the equipment, its all straight forward. Its more of a decision between trade-offs between bonuses. Skills There are several decisions that will have to be made when it comes to skills. Some of which are "Which should I max first? ", "Should I max any at all? ", and "Which skills should I be using?". All of these are good questions and I am hoping that this guide will help you answer your questions! Giant Swing: This skill, like pummel, provides some extra damage when used. Unlike pummel, the damage and cast rate of this skill is influenced by how powerful your weapon is, along with how slow your weapon is. As a warrior levels and gains a more powerful weapon, the skill becomes more useful. Strength increases the maximum damage this skill does. Sweeping Blow: This skill acts like giant swing. However it has an area of effect for the cost of reduced damage. The effect of this skill is aproximately (not 100% sure) 180 degrees. Shield Bash: This skills uses your equipped shield to do minimal damage along with a handy stun effect. The target that gets stunned cannot move, attack, or use skills until the short effect is over. Strength increases the maximum damage this skill does. Protective Stance: This skill temporarily provides additional armor, reducing incoming damage. This skill lasts for 90 seconds and increases in strength with more vitality. Frenzy: This skill sacrifices armor and defense for damage and attack. Strength increases the (Positive?) effects of this skills. Enduring Guard: The effect of this skill raises your physical attack evasion. This lasts for 30 seconds. Vitality increases the evasive effect. Taunt: This skill raises your aggression toward the target, making the target more likely to attack you. Vitality increases the effectiveness this skill. War Cry: Like taunt, this skill raises aggression toward the target. Unlike taunt, it affects the target itself and the surrounding mobs of the target. Its effect is lesser to taunt. Vitality increases the effectiveness of this skill. Bandage Wounds: This skill provides a heal to friendly targets or to one's self. It is a very useful skill to use between battles to recover. Vitality increases the maximum heal of this skill. Recuperate: This skill provides minimal heals every few seconds when outside of battle. The skill lasts for 2 whole minutes unless engaged in battle. It is best used for healing large amounts of health in combination with bandage wounds. Vitality increases the maximum heals this skill does. Meditate: This skill regeneragtes energy every few seconds when outside of battle. The skill lasts for 2 whole minutes unless engaged in battle. Focus increases the maximum regeneration of this skill. PvP I wont be telling you what's best for PvP because that would ruin the fun of it and figuring it out on your own would prevent a mass amount of people with the same build. Diversity is what helps you decide whether to duel that other player or not!